Posted by jhezmer2012 in Databases, Drug Information, Mobile Apps, Trainings & Events. Are you looking for a complete drug information solution for your institution? Are you tired of internet searching with its information overload and possibly inaccurate data? Come and experience the most comprehensive source of drug monographs and clinical content for healthcare professionals. Feel the satisfaction when you look for drug content and clinical facts using our LexiComp Online drug database. LexiComp features an interactive drug interaction analysis tool, intravenous fluid compatibility guide, printable patient education leaflets, calculations and complete drug reference with images for physicians, nurses, pharmacists, medical librarians and other health workers. Electronic Information Solutions, Inc. (EISI) invites you to attend our LexiComp Online presentation at The Medical and Health Librarians Association of the Philippines (MAHLAP) Congress on March 1, 2013, 9:00- 12:00 am at the Hotel Elizabeth, Cebu City. Attend our presentation and avail of FREE Lexicomp ONLINE access for 45 days! Posted by editor in Drug Information. 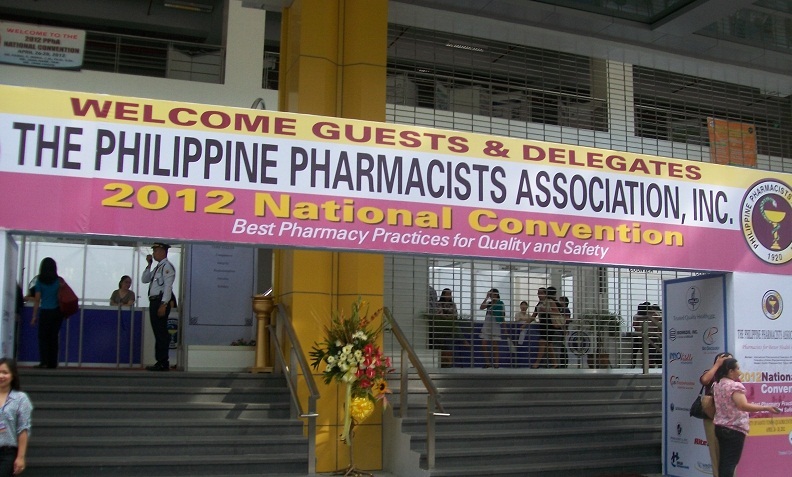 Pharmacists from various backgrounds trooped to our booth at the UST Quadricentennial Pavilion, host to the 2012 National Convention of the Philippine Pharmacists Association last April 26-28, 2012. 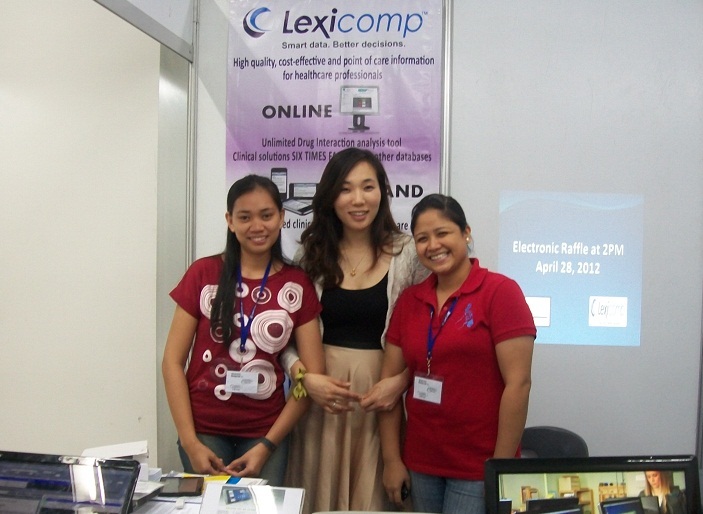 This was our first exhibit at a pharmacists’ event, which was an opportunity for to introduce Lexi-Comp, the drug information database currently used to improve health care in many countries. The enthusiastic crowd tried the drug database in both online and handheld tablet formats. Everyone was pleased at the ease of use and comprehensiveness of our products, which translates to improved productivity and better decisions for providers as they provide better health care to the population. Lexi-Comp prides itself of being an unbiased source of drug information, free from any influence of drug manufacturers. Lexi-Comp’s representative for North Asia-Pacific, Lina Park, was on hand to share her expertise in making the best use of Lexi-Comp’s various solutions. 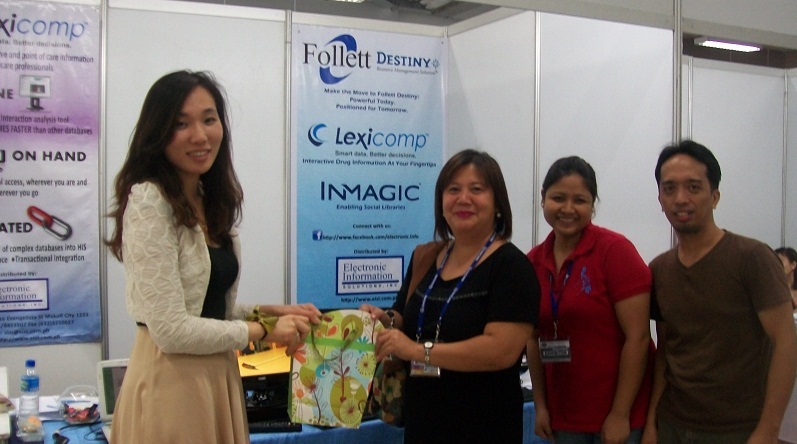 She was assisted by EISI’s dependable sales and support personnel. Lucky visitors to our booth received gifts. It was three days well-spent, and we look forward to serving the information needs of our pharmacists in the future.